Lightning Technologies was founded in 1977 and has been doing business at its current location in Pittsfield, MA since 1982. Lightning Technologies was acquired by NTS in September 2011. Lightning Technologies performs research and development, design and engineering, testing, analysis and consulting services aimed at the protection of high technology systems and installations against the hazards of lightning and other electrical phenomena. 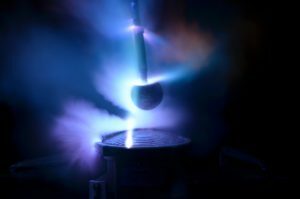 When advisable or required by standards or specifications, Lightning Technologies can perform development or verification tests on entire systems, materials, structures or individual components. These tests are performed in our well-equipped laboratory or, when appropriate at our customers’ facilities. With experience in major commercial and military design programs in the United States and abroad, our engineering staff knows their way around aircraft. We understand the special considerations of space and weight limitations, electromagnetic compatibility, interference and EMP. We have prepared a series of advanced lightning protection design courses for both aircraft/avionics systems and the wind turbine industry. These are held periodically at the Pittsfield facility and also at other locations periodically. Dedicated courses are also available which can be tailored to meet the specific needs of your organization. Direct effects high voltage and high current tests are conducted in our two high bay test areas. The high current laboratory measures 40 x 60 feet and includes generators for producing currents up to 250,000 amperes simulating the currents associated with severe naturally occurring lightning strikes. The high current generator is comprised of three units adapted to duplicate the differing currents, durations and waveshapes of the separate lightning components. The high voltage laboratory measures 80 x 100 feet and is equipped with several high voltage Marx Generators the largest being a 2.4 Megavolts generator used for initial leader attachment testing for both the aerospace and wind turbine industries. 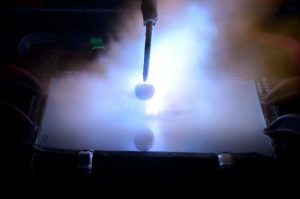 Lightning Technologies offers a full complement of indirect effects testing capabilities for the aerospace and other industries requiring lightning certification. The engineers at Lightning Technologies are leaders in the art of indirect effects analysis and testing. They have helped to engineer specialized equipment and procedures that have become accepted by regulatory agencies around the world. Indirect effects testing includes; pin injection, multiple stroke and multiple burst testing to meet the requirements defined in SAE, EUROCAE, US MIL-STDs IEEE, ANSI and many industry and company standards and specifications. 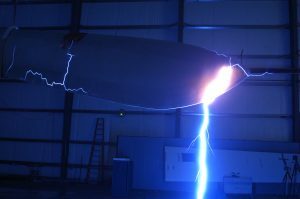 Lightning Technologies can perform indirect effects lightning tests at your facility or site when required. Full system tests such as on complete aircraft or other large structures can be conducted offsite to determine the types and magnitudes of induced transients in system wiring or components.